A very “noir” look focusing on glossy dark lips that works on any skintone! There are a few tips to wearing monochromatic looks like this. Conceal, conceal, conceal! 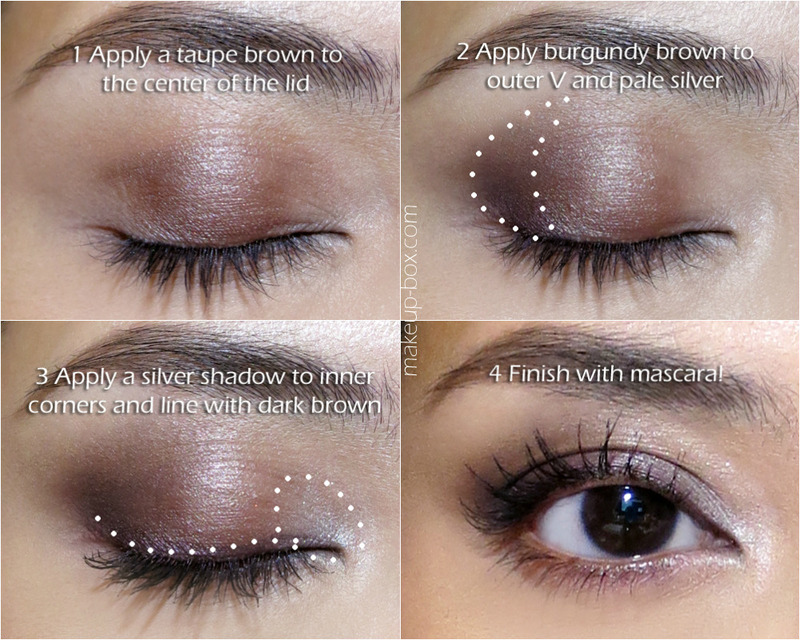 Dark, monochromatic looks can make uneven skin tone and any redness more obvious. Keep the eyes a little softer if you don’t want to look too vampish. 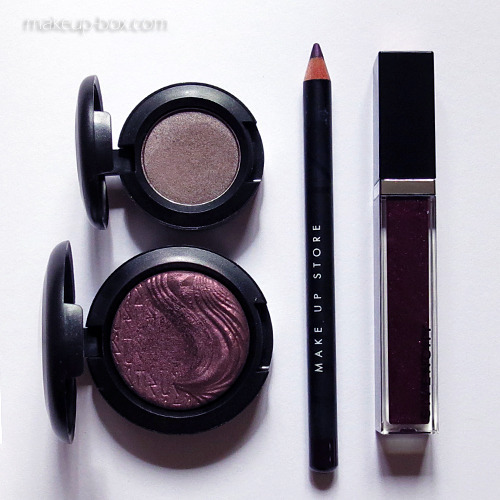 I used a soft taupe as the main lid shade and plum only in the outer corners. Be prepared to touch up! Like a glossy red lip, you will likely need to be careful when wearing a glossy dark lip. Smears, smudges, track marks from your hair getting caught in your lips, you name it. 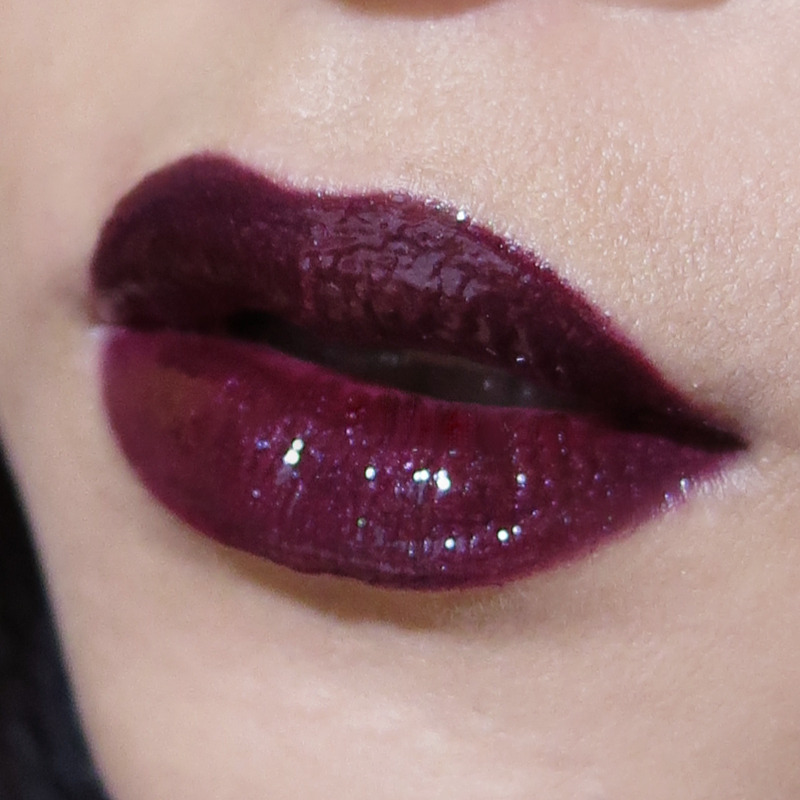 Deep, dark juicy purple lips with Make Up Store Jazz lipliner and Givenchy Gloss Interdit in Velvet Purple.